The question of ‘what lies beneath’ has been asked in the scary movies or where a large black ‘X’ marks the spot. An inquisition of this kind was posed to something less adventurous than a desert island and pirate ridden lands. A much more humble article, although the item was altogether far more mysterious than was first imagined. 53 years ago a faded and unkempt painting was bought from Sotheby’s for a handsome £45. Most auctions at a House like Sotheby’s attract attention and intrigue, but the painting all but vanished until six years ago. Some old friends of Robert Simon, a talented and experienced fine art restorer from London, gave him a painting that they had in their possession. At first sight the paining seemed to speak of excellence, great quality and it was thought that this reclusive painting could actually be the work of one of Leonardo Da Vinci’s apprentices or followers. Following numerous visits to some of the world’s leading experts it became clear that Robert Simon was not restoring an impressive creation from one of Da Vinci’s students, but in fact, the painting that he had in his workshop for six years, the unknown work that accompanied him in taxi rides across New York City, was actually a lost masterpiece by the genius Leonardo Da Vinci himself. The painting that has been named, Christ as Salvator Mundi, is currently being exhibited in the National Gallery in London. A masterpiece that lay beneath years of neglect, uncovered, underappreciated is now restored to its former glory and displayed for the benefit and inspiration of others. It begs the question, how many other masterpieces in waiting are there, how many treasures are hidden away in lock ups around the globe. Forgotten. Neglected. Buried in the archives. An Australian couple were recently taking part in a Reality TV show and uncovered a horde of gold coins in a lock up that was auctioned off for just a few hundred dollars. The treasures that lay hidden and forgotten is said to be an estimated $500,000. Unrivalled riches, forgotten, lost in time. Restorations are more common in our society than we would give people credit for. A careful conservation of artefacts and masterpieces that were inspired by greatness. The painstaking process of brushing away years of dust and imperfections that mar the appearance of something created to be displayed in all its original splendour. It takes time, it takes friendships. Those in our world that help us rise up to be all that we were born for, to make a difference to our portion of the globe and to fully use the gifts and talents that we were crafted with. 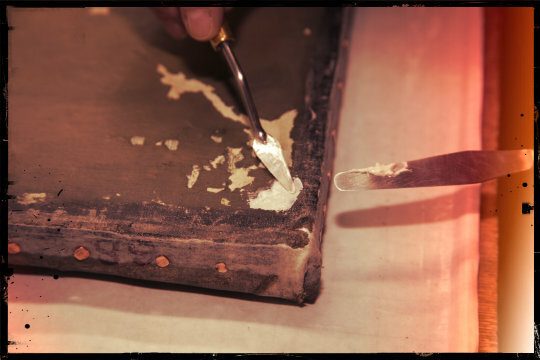 It is in those days when our friends are the restorers, on a mission, with the careful hands of a conservator – it is in those vulnerable moments were we can truly shine. As we move through the ups and the downs that our life can bring, let us continue to grow. Shake off the dust and the flaws of time and just like the Christ as Salvator Mundi, we may be displayed for the world to see and be inspired by what they find, encouraged to reach further, dream bigger and live life fully alive. NextSocial Networking or Social Networks?